A report on one of the potentially most important discoveries of the new millennium, along with a summary of the standard model of particle physics. A comprehensive introduction to nuclear science-- antimatter, beta rays, cosmic radiation, radioactivity, the difference between fission and fusion, and the structure of the nucleus, for starters. Site also provides access to reference and teaching materials and experiments. From Lawrence Berkeley National Labs. Uses frames. A thorough discussion covering all aspects of antimatter. The ATLAS Experiment is to be carried out at the Large Hadron Collider (LHC), a particle accelerator facility of the CERN Laboratory in Geneva, Switzerland. Website is intended for people of all ages who are curious about fundamental particles and forces as well as about particle research. A shockwave application that allows the user to add up and down quarks to a hydrogen nucleus to create a carbon nucleus. Site seeks to explain the origins of matter and current high-energy research regarding the conditions of the early universe. The information presented here is published in booklet form by the Particle Physics and Astronomy Research Council (PPARC). An overview of bremsstrahlung (or stopping radiation). From The Particle Detector BriefBook. From The Particle Detector BriefBook. Celebration of 100 years since the discovery of X-rays. Elaborates on uses of x-rays and details the research conducted with the CHESS synchrotron located below the Cornell campus. A collection of resources gathered by the Thermodynamics Research Laboratory at the University of Illinois at Chicago. A product of teachers, educators, and physicists located around the world. Charts, brochures, web features, and classroom activities present the current understanding of cosmic rays, radiation, particle physics, fission, fusion, and similar topics. Award-winning site. Introduction to cross section, an important concept in scattering. Introductory information on particle decays produced by the Stanford Linear Accelerator. The FAQ (from Princeton Plasma Physics Lab) is not very extensive, but it has an impressive Glossary. A collection of Web-based games and activities to develop an understanding of the operations and experiments that take place in the Fermilab accelerator and detector halls and the scientific ideas they explore. Has a special section for teachers. Leads to several excellent resources which teach about fusion. USENET FAQ glossary on fusion energy. An introduction to the principles of fusion geared towards high school students. Posters in various languages also available for download or ordering. Simple, concise introductory tutorials about radioactivity and atoms. A chronological record of the nuclear age: links to people, documents and educational units. Explore political and ethical dilemmas of the Nuclear Age. Tutorial with 28 color illustrations and photographs looks at these amazing devices and how the results they obtain tell us about the fundamental structure of matter, the forces holding it together and the origins of the universe. Describes the work of the Hampton University Particle Physics group in the ATLAS project as well as material and links for particle physics and general physics education. Beginners guide to particle physics. A set of simulations to illustrate the historical models of atomic structure and the behavior of light. Introductory information on leptons (electrons, muons, taus, and neutrinos). Companion site to the PBS show of the same name. Covers "How a Nuclear Reactor Works" and "What Happened," showing the series of events that took place on March 28, 1979. Useful for a quick lesson about Three Mile Island. Also has teacher's guide to the show and a link for ordering the video. Requires Java-enabled browser. Overviews the principles of nuclear fission and its use to generate power, why uranium can be fissioned, n/p ratio and delayed neutrons, moderators, also Chernobyl and 3-Mile Island. Java applet of a basic nuclear power plant. Try to keep the reactor running safely under various failure scenarios. Covers five major application fields: food irradiation, industry, medicine, space, and electricity. The effects of a nuclear blast. A simulation for Mac and Windows 95/98/NT that allows even beginning students to experience what real particle physics experiments are like. Demo versions available for download. 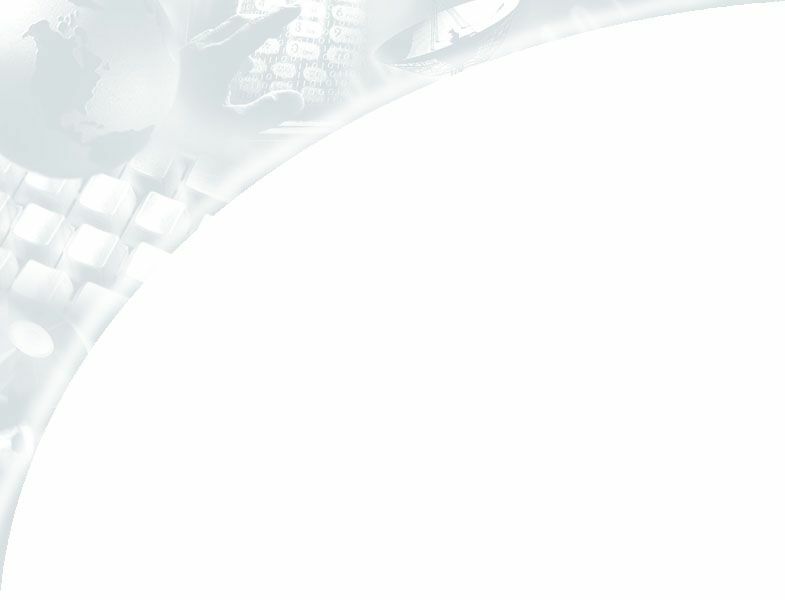 Educational information on plasma applications including controlled fusion. Atoms to quarks, quantum physics, the big bang, and newer theories about matter. Information provided by SLAC for informing the general public about particle physics. Summary of decay modes and their probabilities. The site "allows students and teachers to participate remotely in scientific research at [America's] largest fusion energy laboratory." Requires Java-capable browser and Shockwave plug-in to be able to use the excellent educational modules. Also has an "ask the expert" forum for fusion-related questions. An award-winning site from the Particle Data Group at Lawrence Berkeley National Labs. "A tour of the inner workings of the atom." Overview of elementary particle physics experiments and research at Fermilab. A very comprehensive U.S. Department of Energy site related to fusion research. Provides a large number of links to institutions and organizations, and there is a special fusion education section too. Explore radioactive decay and half-life with radioactive sources, screens and a geiger detector. From Scientific American: Ask the Experts: Physics. quotations from the Stephen W. Hawking book. Articles on related topics in popular magazine style. The Cosmic Background Explorer satellite. Instruments, scientific results, related links. by Henry E. Kandrup. A college-level textbook for an introductory course in cosmology for nonscientists. Comes in a zipped postscript file. A summary of research areas at the University of Kansas, with links to activities and personnel. An extensive overview. Part of the NASA Remote Sensing Tutorial. 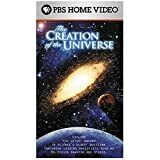 Companion site to the PBS mini-series, discussing the challenge to traditional Christian views posed by the scientific understanding of cosmological evolution, and ways in which they might be reconciled. Annotated list of books, articles, and websites from a popular course at Sonoma State University. A brief, non-mathematical introduction to modern cosmology. 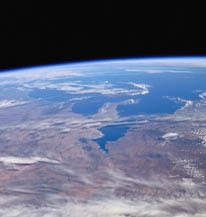 An online book from the National Academy of Sciences. Includes chapters on CMBR, the large scale structure of universe, and the physics of the early universe. An "interactive book" focusing on the topics of astronomy, cosmology, and theoretical physics. It also provides a number of services including an index of all 88 constellations, several interactive games and quizzes, and extensive information on stars, galaxies, and the Big Bang. Article on possible cosmological models. This site is dedicated to summarizing the research of Paul Shapiro's cosmology group. Of interest mainly to specialists. Links to cosmology resources, and a tutorial by a UCLA professor. Following in the footsteps of the famous April 1920 'Great Debate' between Harlow Shapley and Heber Curtis, this series of debates among leaders in the astronomical community highlight major quests in astronomy and astrophysics in an open forum at the turn of the millennium. A NASA site for the general public featuring a collection of questions and answers on cosmology. These notes form an introduction to cosmology with special emphasis on large scale structure, the cmb anisotropy and inflation. In some places a basic familiarity with particle physics is assumed, but otherwise no special knowledge is needed. 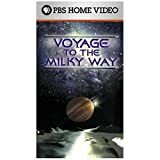 Basic explanations of key concepts, including the Big Bang, expansion of the universe, and the ripples in the density of the early universe that led to the galaxies and stars we see today. Cosmic Microwave Background (CMB) archive of science research. CMB data is an important aspect of reseach in cosmology. Primary aim is to test the hypothesis that a significant fraction of the dark matter in the halo of the Milky Way is made up of objects like brown dwarfs or planets: these objects have come to be known as MACHOs, for MAssive Compact Halo Objects. MAP is a MIDEX class mission, selected by NASA in 1996, to probe conditions in the early universe. MAP measures temperature differences ("anisotropy") in the cosmic microwave background radiation. Cosmologist's personal site including discussions of movies, experiments, and data analysis efforts. van Maanen's astrometrically determined internal motions of the spiral nebula Messier 81. A series of scientic experiments flying as balloon payloads in Texas and Antarctica, designed to measure the medium-scale anisotropy of the cosmic microwave background radiation (CMBR). An illustrated introductory guide to the topic, attempting to summarize modern discoveries on the origin, current state, and future of our Universe. Examines the size, future and fate of the universe as well as the possible existence of others. Also explores what happens in a supernova explosion, a map of the universe on a cosmological scale, and the ability to spin a spiral galaxy on two axes using QuickTime VR. Phantom energy, with negative sum of pressure and energy density, could lead to the universe tearing itself apart in a "Big Rip". ESA mission designed to find the three cosmological parameters: the Hubble parameter, the density and the deceleration parameter from variations in the cosmic background radiation. Cosmologists have used recent data to constrain the type of 'dark energy' that may fill all of space. Astronomers are convinced that the expansion of the Universe accelerates. A dedicated 2.5 meter telescope which uses sensitive electronic light detectors to systematically map a quarter of the sky, building a catalog of celestial objects, galaxies, and quasars. NASA's quest to explain the structure of the Universe and forecast our cosmic destiny, explore cycles of matter and energy and to examine the ultimate limits of gravity and energy. This Berkeley labs site is based on observation of red shift in stars going supernova. A new model of the universe says it repeats itself in an endless cycle. Article from Christian Science Monitor. Cosmic microwave background mapping project. Press releases and downloadable academic papers. Extensive CMB information from the University of British Columbia. Arno Allan Penzias Nobel Lecture. Astronomers say the Universe's expansion has been accelerating recently. A new model for repulsive 'dark energy' may help explain the acceleration in a more natural way than other models. From Physical Review Focus. WMAP is a NASA Explorer mission measuring the temperature of the cosmic background radiation over the full sky. This map provides answers to fundamental questions about the origins and fate of our universe.